become the influencer in your industry and market. 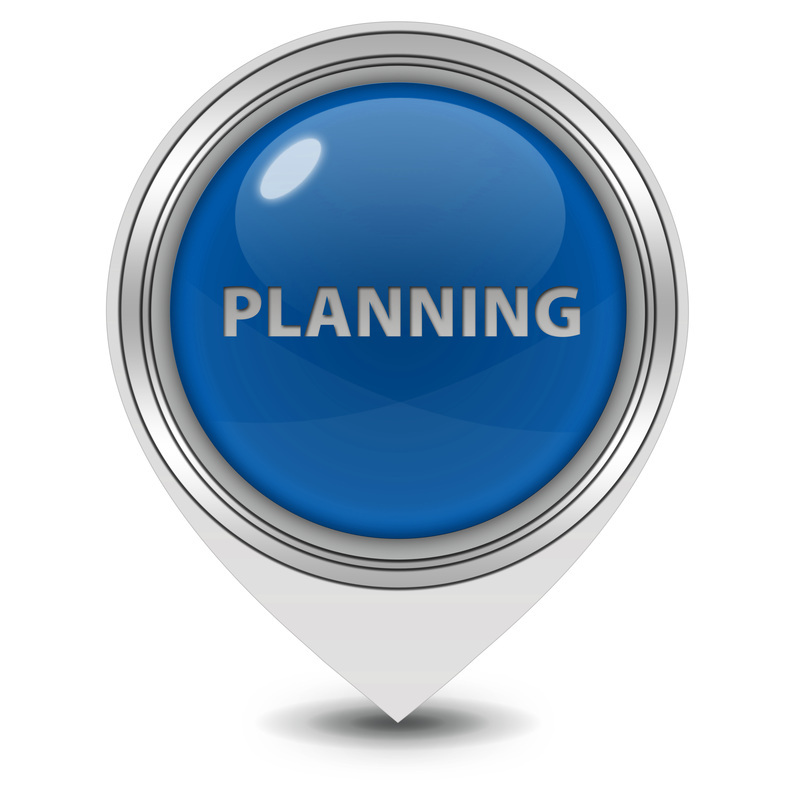 We work with you to develop an outline and chapter plan for your book based on your needs and your expected readership audience. You may already have materials, such as website content, presentations, drafts, articles, notes and marketing materials that may be relevant as content sources for your book. We review these materials and develop a list of questions to answer that will supplement existing materials. Working together, we will develop a schedule for your book development and publishing, including your time requirements for one or more interviews to develop your content. Unlike traditional book development and publishing, where you write every word of your book, we have you speak the book content by answering the questions we develop in the planning stage. 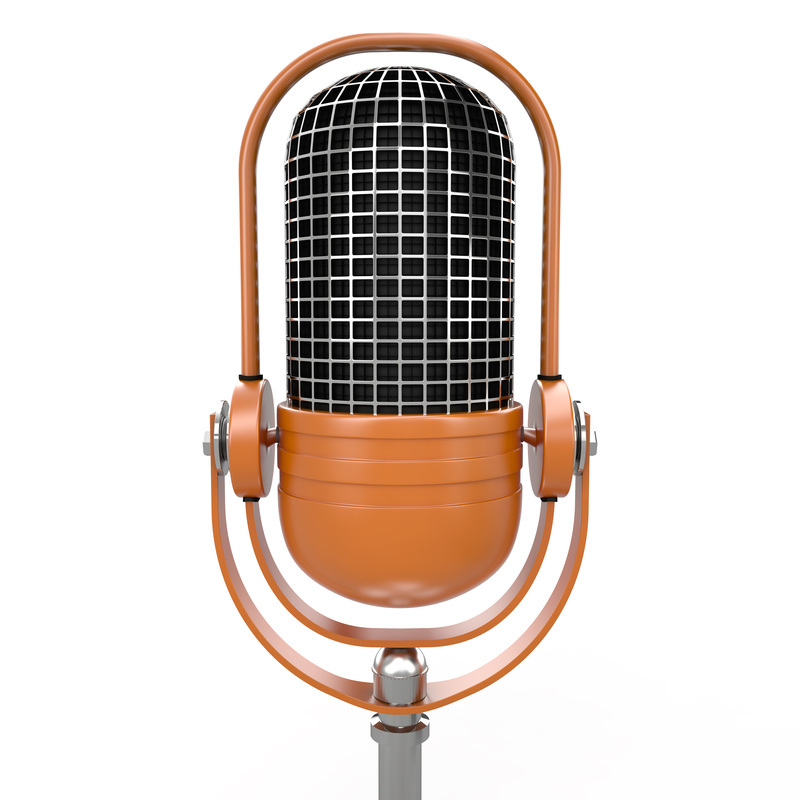 The interviews are recorded and transcribed to use as the content raw materials. 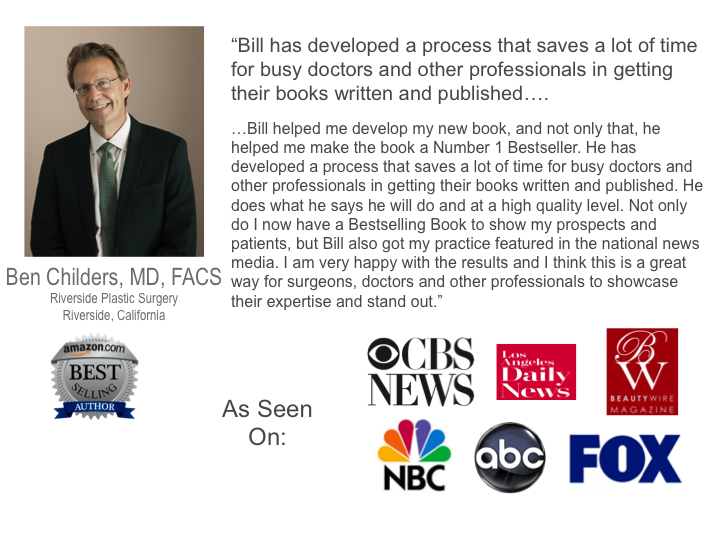 We also gather author bio, cases studies and client or patient testimonials (if appropriate). With our unique process, your time is efficiently used and with the interview process, the words are yours. Depending on the size of your book, total interview times can be about 90 to 120 minutes, especially for One Problem - One Solution books. 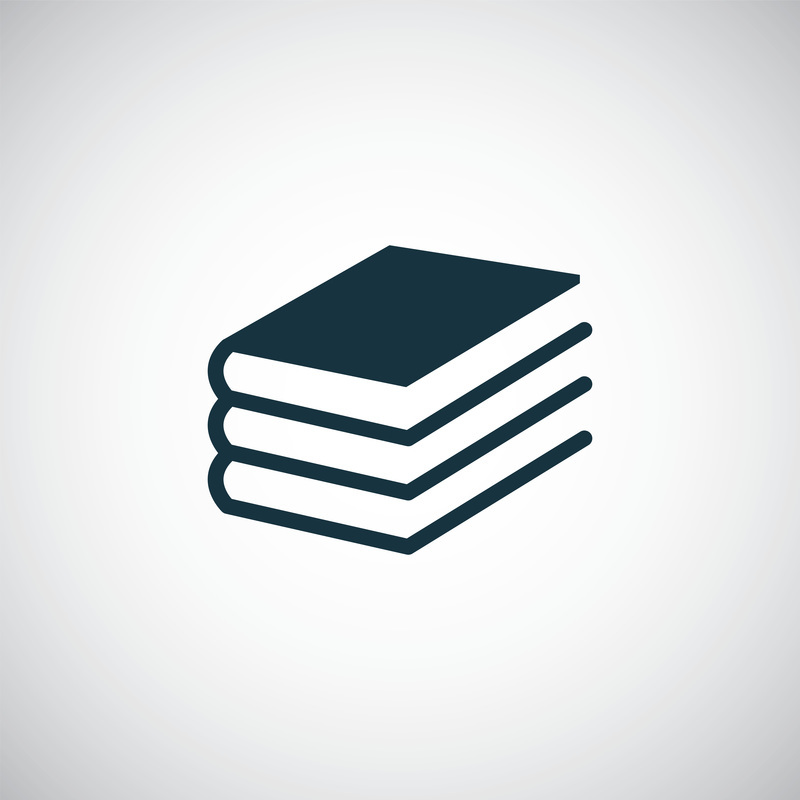 Your book content will be edited into a manuscript and a custom cover will be designed. After review and approval your book will be published on Amazon and alternatively set up for extended distribution. All our client books are published as an Amazon Kindle book and depending on your needs we will develop paperback and hardcover books for physical distribution. 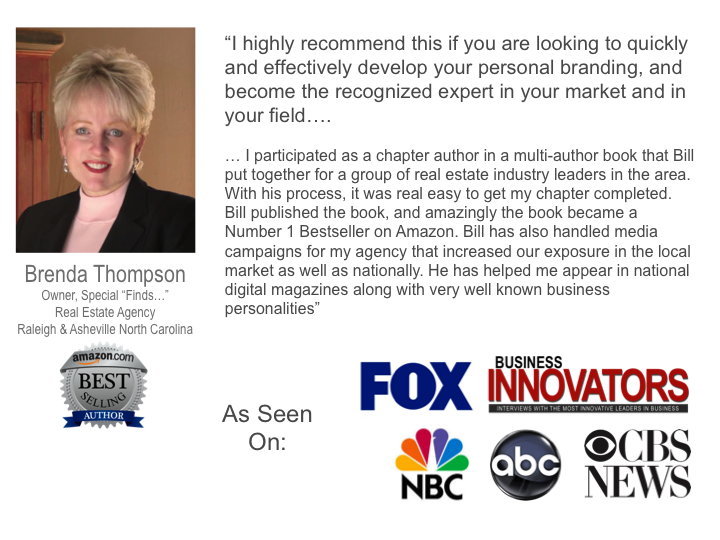 You receive full credit as the author and you own all of the royalties. 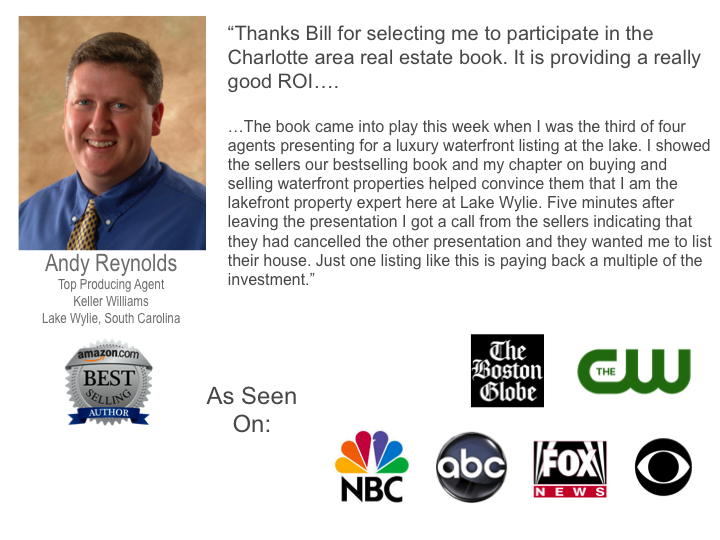 Note that this is not about making a lot of money on royalties - it is about getting you positioned as the absolutely right choice when prospects are making a decision. 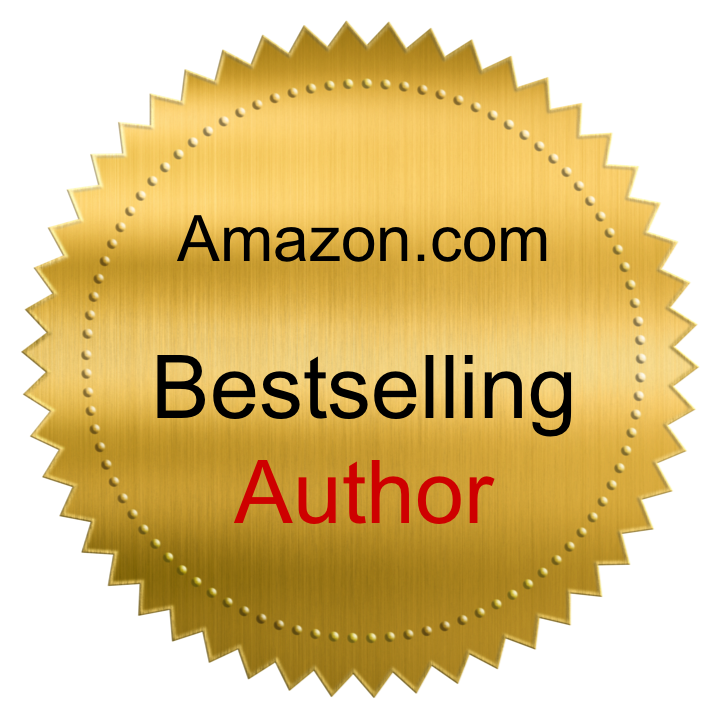 We guarantee that your book will become a Bestseller on Amazon, one of the three most prestigious Bestseller lists. 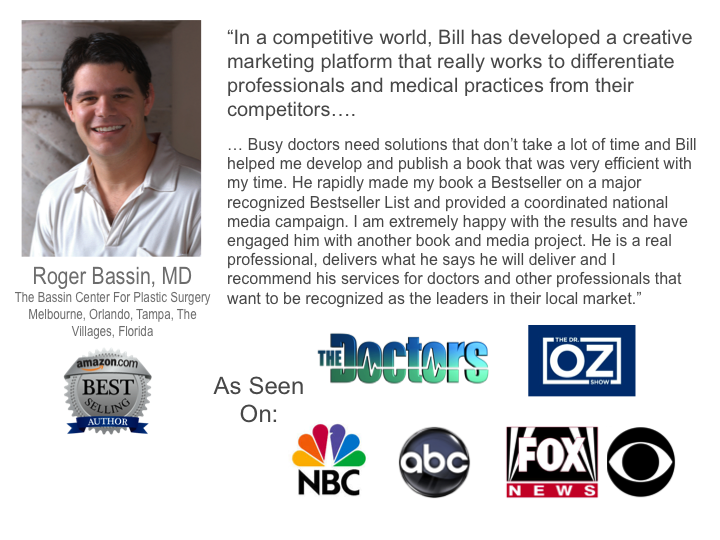 Becoming a Bestselling Author is not an accident; rather it is a strategic business move that positions you as the trusted expert among prospects and clients or patients, improving visibility and brand awareness. It also helps attract prospects and makes conversion into clients or patients easier. 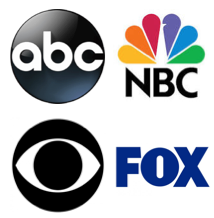 We will publish a news story about you becoming a Bestselling Author in the national online news media - approximately 100 news sites including network TV affiliate sites of ABC, CBS, NBC, Fox, CW and major newspaper and other news sites. 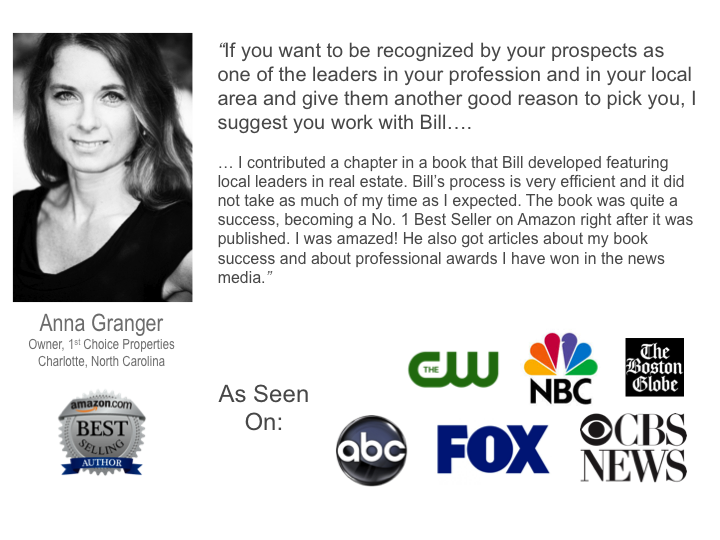 You will be positioned as a expert in your industry and local area. We show you how to use your new "trust triggers" maximize your positioning as the market and industry influencer, increase credibility and trust in the minds of prospects and clients or patients, stand out from the competition, making picking you the easiest decision for your prospects. 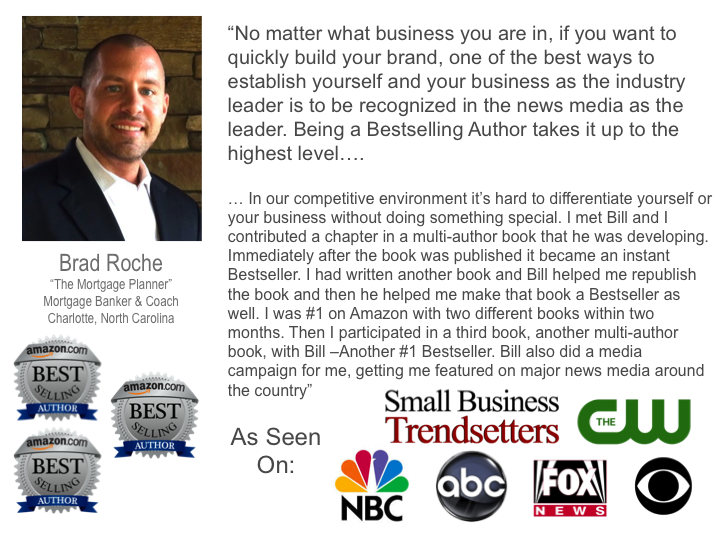 we can make your book a Bestseller. This is a perfect solution for our digital attention span society. 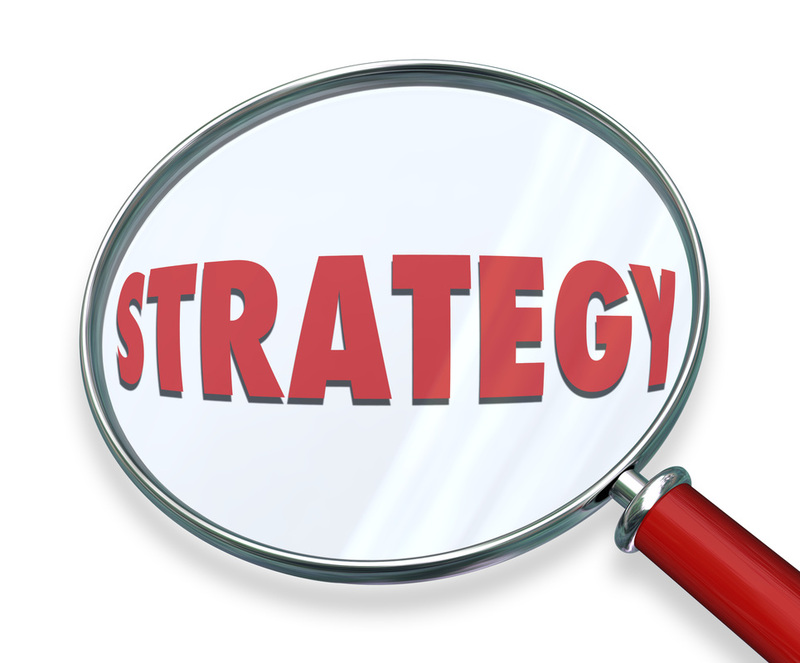 Focus on solutions to one common problem with a relatively short book (50 to 70 pages). This is a perfect size for an Amazon eBook and is large enough for a physical paperback book. A normal professional book will comprehensively cover a range of related topics. This will generally be published as a paperback or hardcover book as well as an Amazon eBook. Length can vary, but will typically be between 120 and 200 pages. The easiest way to become a published bestselling author is to contribute a chapter in one of our multi-author books. 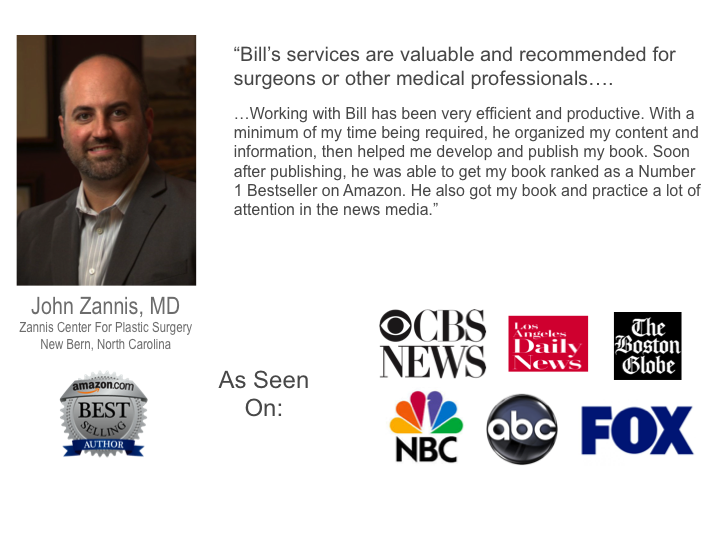 We develop multi-author books around a common topic and also for business, professional and community leaders in specific geographic areas.